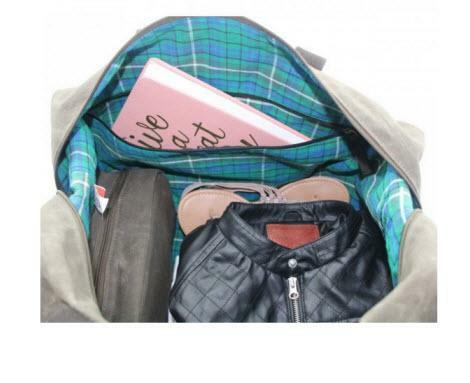 Every luggage piece needs a great duffel! Nothing could be better to have than this monogrammed weekender olive green waxed canvas duffel bag! 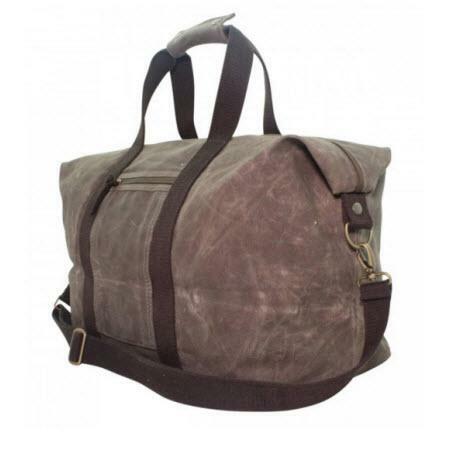 Perfect carry-on, main travel piece or luggage accessory; whatever your travel needs are this weekender can do the job! 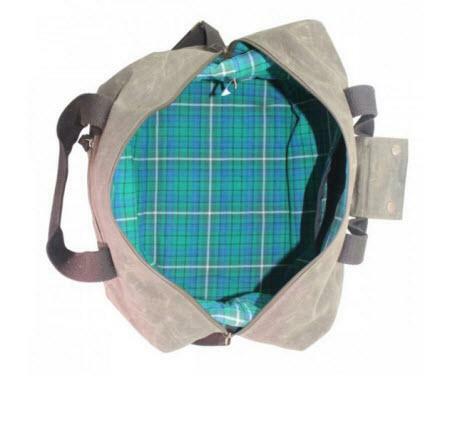 It is roomy measuring 14"h x 19.5"w x 9.5"d and lined with green and navy plaid lining. 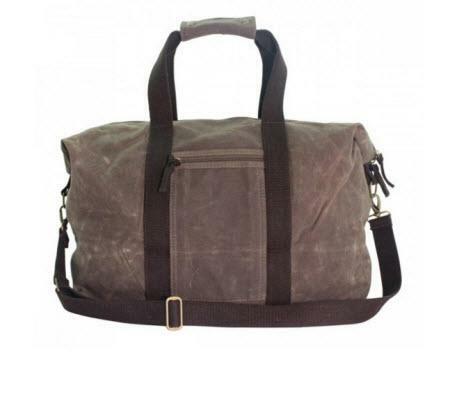 This duffel is made from sturdy and durable waxed olive canvas, features a zipper top closure, an outside zipper pocket which is great for holding a cell phone or all your favorite little must haves, and a detachable and adjustable shoulder strap for hands free carrying. Monogram the weekender in your choice of font and favorite thread color for a one of a kind look! Price: $135.00 In stock! - Browse this brandOur products are custom made to your specifications. This product ships up to 2 weeks after your order is placed.